Dwight Yoakam’s music has almost always been a part of my life. Some of my favorite memories are of riding with my dad in the ranch truck, singing “Guitars, Cadillacs” at the top of our lungs. Dwight helped me get over my mildly broken heart when my good looking 4-H boyfriend made out with a friend of mine who was already dating one of my exes (Thanks, guys!). When we drive east across Tennessee and Kentucky, we pull up some real twangy, soulful Dwight. I’m not saying his lyrics are butterflies and poppies but his music sure is enjoyable to listen to. When I saw that he had put out an album described as bluegrass, I was pretty enthusiastic to hear it. I love his brand of upbeat honky tonk and looked forward to banjo, fiddles, harmonies and maybe a little mountain dulcimer. Dwight Yoakam has an amazing voice for harmonies and duets. The cover of “Purple Rain” was especially intriguing, of course, how could it not be? Damn, Dwight, who broke your heart? Who did this to you, man? This album is the answer to “What would the songs sound like if Taylor Swift and Adele dated and broke up?”. This album is the court ordered affidavit that Dwight is handing over all his past, present, and future hope and joy because his ex got it all in the divorce. 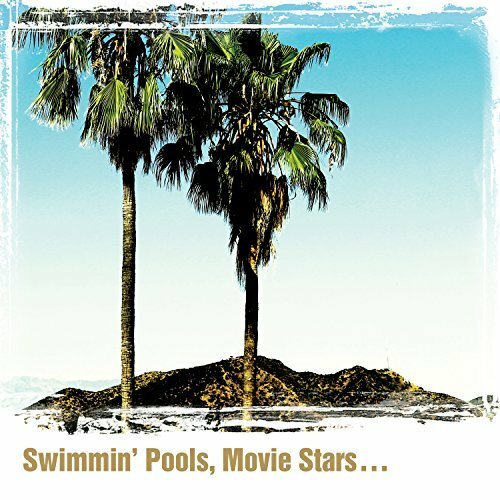 All joking aside, Swimmin’ Pools, Movie Stars… does not disappoint. The bluegrass was delivered, expertly and in abundance, in the form of re-imagined songs that Dwight has already recorded (“Guitars, Cadillacs”, hey!). Dwight did a bluegrass cover of his own work from over the years and it came out way better than I could have imagined. Granted, I was a little disappointed it wasn’t original writing for the album but the songs translated well from West Coast honky tonk to Kentucky bluegrass. At first glance it seems like a Prince song would seem outrageously out of place but, really, with its themes of love and a catastrophically destroyed world, “Purple Rain” is right at home with some of the others like “Home For Sale” and “These Arms”. With Dwight’s diplomatic touch it has become a surprisingly delightful country song. This album is definitely good for a wide range of music lovers and is absolutely worth listening through at least a few times. As with music, tastes are unique. I have never really listened to that type of music, but I can appreciate your view and how song brings back memories.